Traveling abroad at the last minute? Perhaps your country of destination requires specific documentation, in addition to a passport, in order to enter its borders. Maybe a previous trip to a different country will interfere with your current plans. If any of these apply to you, it may be necessary to apply for a second passport. A passport is an official document issued to confirm an individual’s citizenship of a specific country. The U.S. Department of State has long had a policy that states that no individual should be in possession of more than one valid U.S. passport at a time. However, the aforementioned situations demonstrate a need for a second passport on occasion. People with such a need may include diplomats and business people who frequently travel but may not have time to obtain necessary visas. Also, individuals who have previously traveled to a country in conflict with their current destination may require a second passport. Second passports are of limited validity and are considered exceptions to the Department’s policy. They are issued by the U.S. State Department on a case by case basis. An individual applying for a second passport must be a native born or naturalized citizen. Some countries require both a visa and a passport for entry. Visa requirements vary from location to location. It is always necessary to check with the U.S. Bureau of Consular Affairs to determine whether or not you need a visa to enter a particular country. There are different types including travel, work, business and student visas. These documents may or may not be required based on the planned length of your stay. Many countries do not require visas for a stay of three to six months or less. If a visa is required, however, a traveler must submit a valid U.S. passport for it to be processed. Anyone who must travel to a country not requiring a visa while you are applying for a visa must have access to a second passport if they want to travel. First passports are valid for 10 years from the date of issue for adults and five years for minors 15 and under. Second passports are valid for only two years from the date of issue and cannot be extended. A renewal application must be submitted if you require another second passport. Individuals traveling to these countries should also apply for a second passport. These locations are often updated so you are advised to check with the U.S. Bureau of Consular Affairs for the most current information. 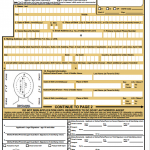 Completed passport application – DS 11. Current valid U.S. passport with ten year validity. Statement in Support of Application for a Second Passport. Corresponding passport fee (same as a new passport). Once you have all your documentation together, it is time to begin the application process. Use the passport form DS-11. It is best to fill in the application online rather than by hand to avoid making errors. Once completed, you must print out the application and attach the required documentation. The package is then presented to a passport acceptance agent who will confirm that the application and all required documentation are present. Do not sign your passport application prior to meeting with the acceptance agent. The application must be signed in front of the agent and placed in an envelope that is to be sealed by the agent as well. If your departure date is within four weeks, you will need to apply in person or use a passport expediting service in order to get your passport application processed in time. Make an appointment at a passport acceptance facility, or, if traveling within a two week period, a regional U.S. State Department passport agency. If you are already overseas, a second passport application may be made at the U.S. Embassy in that country. If you want to use a passport service, there are passport expediters that we recommend. 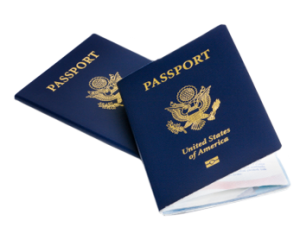 When applying for a second passport, you must present your current passport as identification and proof of citizenship. Your current passport should have at least one year of eligibility left at the time of application. If this is not the case, you may be asked to submit an application for renewal on the original passport. The passport must be undamaged. No copy or facsimile of it, or the application and accompanying documentation, will be accepted. You may also submit a stamped, self addressed envelope if you need to have your original passport returned to you quickly. Processors will send it back to you once it has been reviewed for your second passport application. A statement detailing the reason for the second passport request must be submitted complete with the applicant’s signature. This statement must include the applicant’s printed full name and the exact reason for the request. You must also confirm in writing that if either passport is lost or stolen you will immediately report it to U.S. Passport Services. A detailed travel itinerary may also be requested when you are applying for a second passport. Can I apply for a second passport by mail? Your first passport was issued when you were under the age of sixteen. Your first passport was issued more than fifteen years ago. Your first passport was lost, stolen or damaged. Your name has changed since your first passport was issued, and you cannot provide legal documentation of the change. How long will it take to process my second passport application? Passport applications are currently being processed in four to six weeks. Expedited processing within three weeks is available for an additional fee of $60. Third party services may be used for even faster processing.